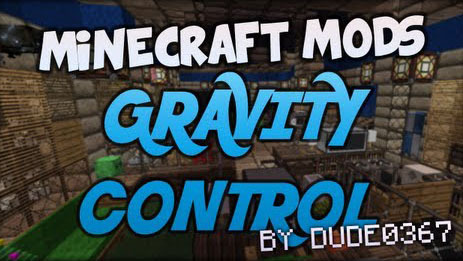 Gravity Control Mod provides you with two controllers and a Gravity Anchor which enable you to do stuff and things. I think you will like this mod very much. This controller is a weaker version of the gravity controller, it allows you to reduce gravity and jump higher. This controller allows you to completely flip gravity, causing everything in the world to fall up. You can use it to kill mobs with fall damage, but make sure you don’t die as well. Landing is very painful thanks to Minecraft’s fall damage mechanics not being velocity based. When dropped, it is on turns it off, which should save many lives. This is the only even remotely (ba-dum-tsss) safe way to use the Gravity Controller. When it is in your inventory, your move speed is slightly slowed but you also are not affected by the gravity reversal. Dropping this while the Gravity Controller is on is a bad idea, the anchor doesn’t float in anti-gravity but you will. If one does not exist you can create one.